The U.S. Department of Agriculture says it’s going to investigate a Hormel Foods’ pork supplier in Austin, after an undercover video surfaced showing treatment of pigs that is “completely unacceptable,” federal meat inspectors say. The video was shot by animal rights group Compassion Over Killing, and shows what’s going on on Quality Pork Processors’ killing floor. The pork supplier is near Hormel’s plant, where the company makes Spam and other meaty products. The USDA says it is now reviewing the video after the group handed it over, reports the Minneapolis Star Tribune. “The actions depicted in the video under review are completely unacceptable, and if we can verify the video’s authenticity, we will aggressively investigate the case and take appropriate action,” the USDA said in a statement. USDA inspectors were likely on-hand at the plant, but the scenes in the video happened in an area of the facility that they likely wouldn’t have seen, the agency said. Quality Pork only supplies pork to Hormel’s plant in Austin. 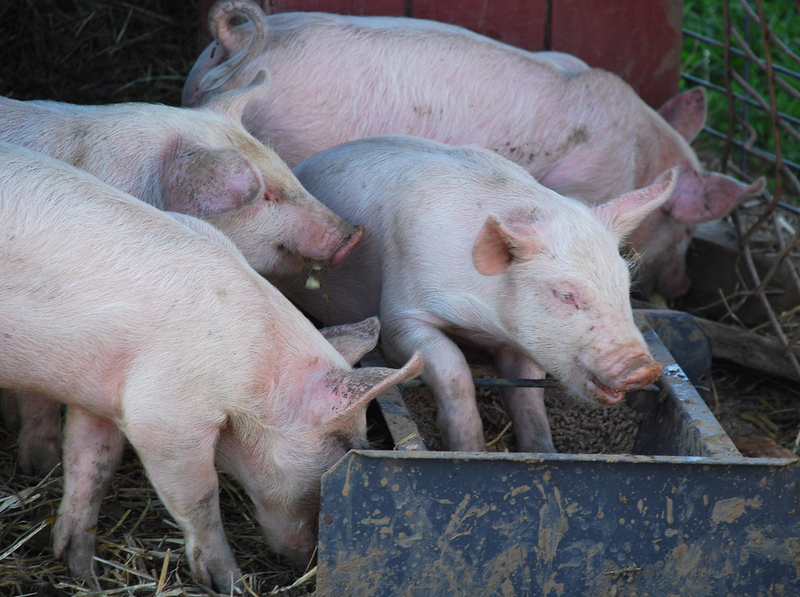 “We have strict policies around the humane treatment of animals — it’s a priority,” said Nate Jansen, human resources vice president for Quality Pork in Austin. He says two workers shown in the video were going against company procedures (warning: graphic, slaughterhouse language ahead): one is shown cutting an abscess and meat that may be contaminated from a pig, something that should be done at another point in the production line. That worker was given a verbal warning before the company saw the animal rights video, the HR rep said. Another worker was given a written warning and had to submit to retraining after aggressively paddling an animal to move it into line. The company says that action was also spotted and addressed before the undercover video was released. Hormel says using paddles goes against its animal welfare standards. You can see the video on YouTube in edited form.